Due to my attendance at EGX, we weren't able to publish a store update last week. As such, this week's store update includes two weeks of content. A new character joins the cast in Criminal Girls 2: Party Favors. Say hello to Mizuki. ASSAULT SUIT LEYNOS, Battle Worlds: Kronos, Criminal Girls 2: Party Favors, Destiny - The Collection, Lumo, Planar Conquest, PES 2017, Super Meat Boy, Tokyo Twilight Ghost Hunters, and Touhou Genso Rondo this week. Criminal Girls 2: Party Favors finally gets its spot in the news with a deluge of screens, information, and other critical details. 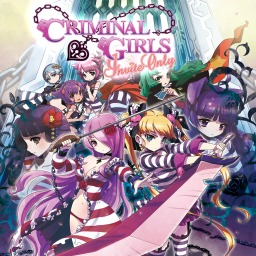 The first Criminal Girls game with trophies was Criminal Girls: Invite Only (Vita), which was developed by Nippon Ichi Software, published by NIS America and released on 06 February 2015. 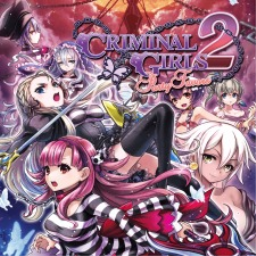 Since then there has been 1 more game in the series with trophies - Criminal Girls 2: Party Favors (Vita) which was developed by Nippon Ichi Software, published by NIS America and released on 11 October 2016.